It has been an eventful several months since my last update, and it is probably time to recap some of what has happened and also to mention some upcoming events that I will be speaking at, as well as projects that I’m currently working on. 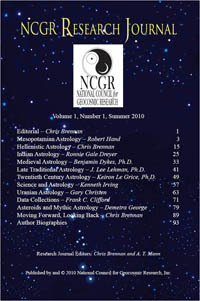 I spent a decent part of the summer editing a volume of the NCGR Research Journal based on the seminar that I organized in Boston earlier in the year. It was finally published in September, and although it didn’t come out as well as I had originally planned, the response was generally positive. 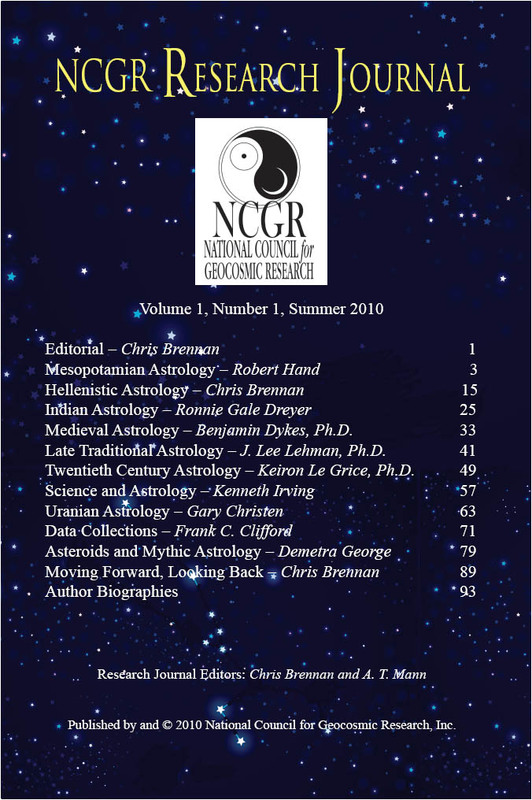 There is more information about the journal on the Horoscopic Astrology Blog, and you can order a copy from the NCGR website. After the journal was completed I stepped down as editor so that I could focus on other projects, completing a two and a half year stint as the Research Director and then the Editor of the Research Journal. I had a great time giving lectures and workshops in Louisville, Kentucky in September and then in Melbourne, Australia in November. The Regulus Traditional Astrology Conference was a great success, and I was really honored to have had the opportunity to take part in it. You can view some pictures I took at the conference on my Flickr page. I also gave two online lectures on Hellenistic astrology, first at Robert Corre’s Internet Astrology Conference, and then at the International Academy of Astrology’s Breaking Down the Boarders conference. Both of the talks went really well, and it was interesting seeing how the the online conferences worked. I did feel that there was a bit missing when it came to the social interactions that one usually associates with conferences, although I suspect that we will still see many more online conferences taking place in the future. In November I took over the Traditional Astrology Radio podcast from Jacqui Menkes. I’ve done two shows since then, one was an interview with astrologer Alan White, and the other was a discussion about the recent release of a translation of the Anthology of Vettius Valens. Right now I’m in the process of setting up setting up a new website for Traditional Astrology Radio, and I’m scheduling interviews with some big names in the field to take place over the next few weeks. I’m getting ready for a trip to Seattle next week where I’m going to be giving a lecture and a workshop for the Washington State Astrological Association. I spent some time living in Seattle while I was attending Kepler, and I’m looking forward to going back to visit for a few days. After that I will be speaking in Phoenix in June for the Arizona Society of Astrologers, and then in San Francisco in November for the two local groups out there. It should be a pretty interesting year! I’m really enjoying the podcast since you took it over, Chris. Do you happen to have the link for the Christopher Warnock article you mentioned in this podcast? Thanks John! What was the article in reference to again? I don’t remember what the context of the comment was at the moment. It would have either been on his blog or on his mailing list, Spiritus Mundi.